Get One Of Our Cheap Mattress Cleaning Packages in London! Not many people put London mattress cleaning at the top of their to-do list, however, there are many health benefits to keeping your mattress clean. If you want to keep your home as safe and healthy as it can possibly be, it may be time to invest in one of our furniture cleaning services. All of our packages are offered at great, low-cost prices and are suitable for homes and businesses nationwide. So, if you want to relieve your mattress of unwanted allergens, or if you want to keep your hotel beds 100% clean, call us on 020 3744 6923 to get your free and no obligations quote. Our prices are known for being some of the best in the business and are guaranteed to leave you feeling great about getting your mattress deep cleaned. Many people think that mattresses are protected from the environment by the various layers of bed linen which we put upon them. However, small dust and dirt particles can still get to your mattress causing an increase in allergies and dust mites. Regularly cleaning your mattress can also prevent infestations of other unwanted creepy crawlies, including bed bugs and other mites. So, if you want to make sure that you’re sleeping alone at night, you may want to invest in one of our regular mattress cleaning packages. Our one-off mattress cleaning services London can also help you with any immediate problems, eliminating any unwanted problems in an instant. How Can Our London Mattress Cleaning Services Help? Our deep cleaning services have a multitude of benefits, including stain removal and dust-busting. So, if you suffer from dust allergies or have any unwanted stains, all you need to do is call us on 020 3744 6923 today. Our London mattress cleaners can eliminate even the smallest of particles, making your mattress a dust-free zone. They can even help you on a larger scale, with bed bug infestations and serious cases of dust mites. With intensive products and steam cleaning procedures, we can deep clean your mattress and give you one less thing to worry about at night! Fast-Working Team of Mattress Cleaning Professionals in London! Our London mattress cleaners are experts at what they do and know exactly what treatments are best for your mattress. If you have a top of the range mattress and don’t want to damage it, ask our team about what’s best for you. We guarantee that when you hire a mattress cleaner from our team, your bed will be in the best possible hands. With expert equipment and specialist products, we can look after you and your home with the utmost care. Our fast-acting team can even deep clean all of your mattresses super-quick, getting incredible results each and every time! Industry-Leading Mattress Cleaning Equipment London! We have invested in some of the best industry equipment to make sure that we can offer you an outstanding London mattress cleaning service. With excellent stain removal technology and intensive cleaning equipment, we can eliminate any unwanted dirt, dust or odours ASAP! Our state of the art technology is guaranteed to leave your mattresses super-clean and is super-quick and efficient to use. So if you want your bed to be supremely clean make sure you hire a mattress cleaner from our Carpet Cleaning London team! 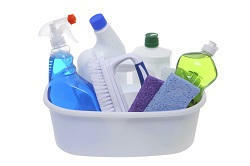 Our cleaners can be hired seven days a week and will leave you amazed with our spectacular results. For more details, call 020 3744 6923 now to speak to one of our advisors now! We promise to offer you an incredible deal!